All of which help to learn about the mysteries of being a woman and the power that lies in each of us to flow creatively through each phase of our lives. 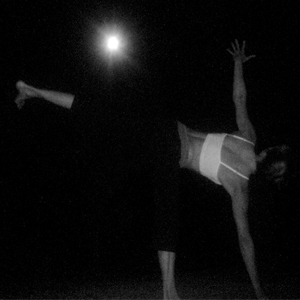 I teach Feminine Power Yoga as a private yoga class personalized for your own life and cycle, as a 12-hour weekend workshop of 4 classes or as a series of 4 classes held in conjunction with the moon cycles. Email me at deanna@thewomanway.com the contact page to reserve this beautiful and empowering program for the women of your yoga community! Increases in overall strength and flexibility. Reduces swelling and inflammation around joints. You learn to use the muscles of the pelvic floor to help support your internal organs in pregnancy, to push your baby out in labor, and to help the body recover after birth. Helps to manage pain in the recovery process from either a vaginal or cesarean birth. Helps to prevent or deal with postpartum depression. Yoga is the ideal exercise for pregnancy. Yoga poses work specifically to strengthen and open the body, alleviating the many discomforts of pregnancy and preparing you for a powerful labor experience (see benefits for more info). It prepares you mentally and emotionally for the challenges labor can bring as you learn to trust the innate wisdom of the body and live from that place during birth, into motherhood and into every aspect of your life! Yoga helps you connect with your baby, establishing the basis of a nurturing and compassionate relationship well before the baby leaves the womb. You’ll also connect with other mothers as you share experiences and thoughts on pregnancy breastfeeding, motherhood or any other issue that comes up. We create a supportive environment, a safe haven, to share this sacred time with each other and make connections you’ll cherish forever! We explore the emotional, spiritual and physical aspects of labor as well as the knowledge and tools you’ll need to stay present with the labor journey so when you enter ‘labor land’ you feel empowered by your body’s wisdom as you navigate the labOrinth of birth, no matter where and how you choose to birth your baby. Yoga in The Postpartum Period continues to be supportive in the physical, emotional and spiritual aspects of this difficult and delicate postpartum period. Post birth body (specifically the abdominal and pelvic regions), sleepless nights, mothering stresses, feeding difficulties, family pressures, relationship changes and so much more make up this period of re-integrating your new self into the world with your new child, who is right with you figuring it all out. 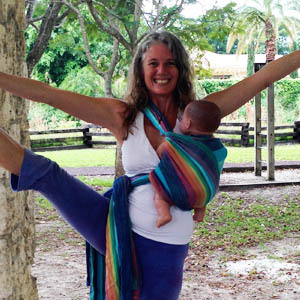 Yoga is a life-long friend that will help you transition with more ease into a beautiful and fulfilling motherhood. Shoulder and upper back opening. Deep relaxation with restorative poses. Standing poses for strength and support of the low back. Postnatal Yoga can ease you back into more activity as you recover from your birth and adapt to the changes that are happening so quickly. Build connection and intuition about baby’s needs. Open the heart, chest and shoulders. Build strength in legs to support the back. Postpartum work of toning the pelvic floor and the core. Notice and shift patterns of anxiety and negative thinking. Learn breathing techniques that calm the body, nourish the reproductive organs and release anxiety and stress. Increase blood flow to the endocrine system and the pelvic region with specific poses and practices to support each phase of the menstrual cycle. Improve blood flow throughout the entire body, bringing overall well-being to the body, mind and spirit. Consciously call on the conception of a baby, idea, business or other aspect of your life that fertility is offering. Yoga is fertile ground for transformation. Being fertile is a state of mind as well as body, a connection you come to feel deep in the heart. Yoga can help you on all of these levels to achieve what is truly fertility. Yoga teaches you to bring awareness to your body’s fertility cycle, the constant changes occurring and how you react to those changes. Ultimately you get to know yourself through a journey of discovery that allows you to access areas in your life that have been signaling the need of attention, helping you to bring change and flow to your body, mind and spirit. he pelvis is the area of the body associated with fertility. It is characterized by change, the element of water, of ebb and flow, of creation and fullness. We tend to hold a lot of emotion in the pelvic region without cleansing and clearing out past issues and stress, inhibiting our access to the creative life force within. 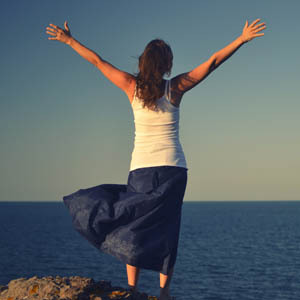 We get stuck, unchanging and inhibit the release of the fluid and juicy well of creativity that is essential to our well-being and feminine wholeness. We instinctively birth all the time when we are balanced. We birth new ideas, new ways of dealing with old issues and the consistent change that flows with the nature of our lives. As we consciously learn to release stuck energies and move with the changes more readily, we discover a fountain of resources and imagination that lead us to a life of fertile abundance, a never depleting divine nectar that lubricates the hard and dry transitions, allowing us to release or recycle old grooves and relationships that no longer serve our hearts. We long to create, constantly. Sometimes we birth new beings, sometimes we birth a deep longing into reality, and sometimes we birth ourselves all over again. It is our nature to be fertile. This is our connection to Spirit, open to the possibilities of a conscious and powerful fertile life, in whatever form that may come. One of the many amazing mysteries of Womanhood is the marked stages in our lives. These stages are felt by major changes in our physical body. The first major change occurs when we transition from little girl to little woman, experiencing our first menstrual cycle. If we decide to have children we experience the second major change where our bodies hugely shift with pregnancy and then with the explosive power of childbirth as we transition into Motherhood. Otherwise the change is less obvious in our bodies yet equally powerful within our spirit as we learn to Mother ourselves and nurture our heart’s desires, getting in touch with the fullness of the feminine spirit. Yoga can help lessen the fear and suffering associated with the symptoms of menopause. It teaches acceptance of challenges as blessings while holding resentments may lead to bitterness. Yoga helps you to explore and unfold the parts of you that are hiding so you can embrace the whole of who you are. And finally, Yoga teaches that there is juicy, fertile fruit waiting to be discovered within the depths of menopause. Dive in and connect to the deepest parts of who you are and experience The Change with Grace!